At Rapier, we understand that every customer is unique. We therefore don’t seek to prescribe a full turnkey solution for every project. Our service offerings are modular and we understand that not every client requires every element, with some clients engaging in-house installation or design teams. Whether you require a single access point for a coffee shop, or a full, citywide, multi-service Metropolitan Area Network, we have the skills, tools, services and products to suit. Our design services always starts with a careful analysis of user requirements, applications and geographic spread. Obviously, this varies from network to network, with Wi-Fi and city wide deployments having different requirements. Planning will identify the start and end points of data flows and define the bandwidth required of the different network elements to serve these users in line with the customer’s expectations. We have several tools at our disposal, not to mention over 60 years’ combined experience in IP networks to design a solution that will meet the customer’s requirements. Our designs are carefully documented, to ensure that expectations are clearly defined and met by the solution. Desktop planning and analysis is the first stage in the process. Every solution for which we are responsible for the design goes through a process to simulate the link, taking into account known geographic and topological data. This is seen as a gateway; if the proposed solution does not pass this part of the process, we will not waste any more of the customer’s time or money on that solution; we will instead seek to find an alternative path or technology. Our desktop planning tools give us the added advantage of knowing where existing 3rd party owned structures are located throughout the UK and this helps us to establish connectivity solutions where others have failed or thought not possible. Our planning service covers several areas, from simple network planning, including frequency allocation, to applications being made on the customer’s behalf for specific licensing from organisations such as OFCOM or UK Broadband. Our planning service also includes liaison with external partners, such as our acquisition, design and construction (ACD) partners; responsible for structural elements, such as tower construction or a monopole build. This can be an area that is feared by customers, but Rapier Systems has extensive experience of bringing plans to reality. A Rapier Systems site survey gives the customer 100% certainty that the chosen solution is correct in the real world. A detailed report, completed post survey includes all relevant information pertaining to each component part of the solution, including mounting positions, feeder cable proposal, bearings, and other important information relating to each mounting location. A live link test, where appropriate, will also show the customer exactly what performance should be anticipated, should they wish to proceed to the next stage of installation. The installation of any equipment, but in particular equipment that is normally exposed to anything the UK’s weather can throw at it, must be right first time. Poor installation practices can lead to issues surrounding reliability, performance and health & safety, all of which are guaranteed to give the customer a bad experience and affect the safety and stability of the wireless service. There is another key reason as to why the installation must be right first time and that is maintenance. A poor installation normally means more maintenance and that is bad news for the installer / maintainer both logistically and financially, so all our engineers know exactly what it means to get it right first time. Our engineers are accredited to install and support all systems proposed by us. They know each system’s individual characteristics when it comes to installation requirements. We are trusted to install systems for many of the larger communication businesses in the UK for these reasons. Our accreditation with the world’s leading wireless system vendors means we can support our partners and customers with expert knowledge and hands on expertise when they need us. From time to time we are called upon to help commission a system that we neither specified nor installed and whilst this is no challenge for us, we will not become involved in the commissioning of a system that does not meet our own standards of fitness for purpose. This is an area about which we are passionate because customers need to be reassured that if anything should go wrong, there is an efficient, reliable service to put things right. Rapier Systems doesn’t believe that customers should only be allowed to pick a same day or next day response, rather we believe that every customer has the right to a level of support that makes them feel supported. To this end, our agreements are tailored to our customer’s wishes. We offer anything from 24/7/365 cover to next working day or best endeavour and lots in between. We also operate an online ticketing system that allows our customers to place a call and track its progress using this number, giving them full control and notification of the progress of the fault call and any escalations. Full fault resolution reports are also sent to the customer upon rectification and regular service review meetings are conducted throughout the course of the agreement to ensure we continue to meet our obligations. As experts in our field, our services can be called upon to help conceptualise or indeed specify a solution. 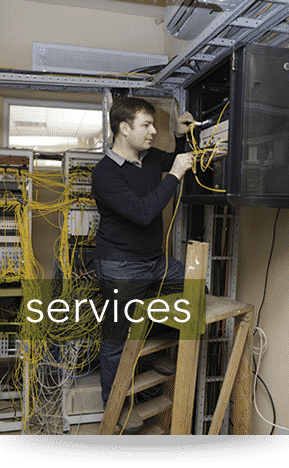 Our years of work, experience and knowledge in this industry has led to us being utilised by some of UK’s leading IT service providers, for network design and implementation. Rapier have made a large investment in manpower, equipment and training in equipment, technology and health and safety over the years. This ensures that we work to a very high standard. Many of our partner companies use wireless as a supplementary product to their core business and therefore cannot justify this investment for something that is an occasional requirement. We can be used as a sounding board or get involved in helping to steer a project from concept to reality, working with our partners’ engineering to bring a project to fruition. Training is an area that some don’t consider necessary, after all that’s what a support agreement is for isn’t it? Training can also help the customer to get the most out of their investment. Being trained on the intricacies of your centrally managed Wi-Fi / W-Lan purchase will enable you to configure many of the specialist system features, for example, generate guest access passes, manage intrusion detection, set up RFID etc. We therefore believe customers using wireless technology extensively should consider having key staff members trained to a point that gives a level of comfort in the investment made. Training can also be tailored to help client’s personnel diagnose simple first line faults or can be more in depth in situations where the customer desires full control and ownership of network management and support. Either way, our experts can be called upon to train on a one to one basis or for a classroom of up to twenty people at any one time.